Hard-Co carries sealer by Seal King, stocking both Water Based and Oil Based sealer available in a variety of finishes including High Gloss, Semi Gloss and Natural Look. Natural Look – 400 to 2000 sq.ft. / 1gal. Colour Enhancer – 250 to 2000 sq.ft. / 1gal. 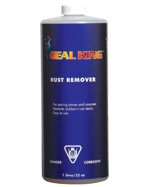 Seal King Seal-Grip is specially manufactured to create a textured surface without the sharp edges. Seal-Grip bonds easily to the acrylic sealer for a strong, durable, long lasting finish. 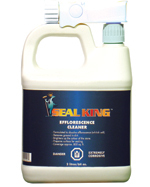 Use with Seal King’s; Paving Stone sealer, Cure and Seal, Impressed Concrete sealer, and Epoxy 100% Solids. For driveways, patios, garages and steps. Good for Solvent and Water bourne sealer. Coverage: Simply add 1Lbs. 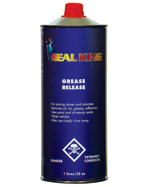 of SEAL-GRIP to Seal King’s 18.9 L (5 gallon) Sealer. For one (1) gallon use 1/4 Lbs. of SEAL-GRIP. Approx. 800 sq.ft. / 2L 64oz. 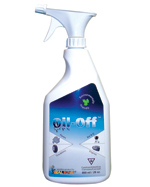 Helps remove old or tainted sealer from surface. Just apply, wait and remove. 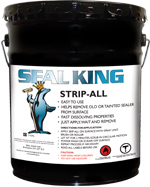 Seal King recommends using a professional installer. Make sure that when using an installer, they have multiple years of experience or legitimate references.